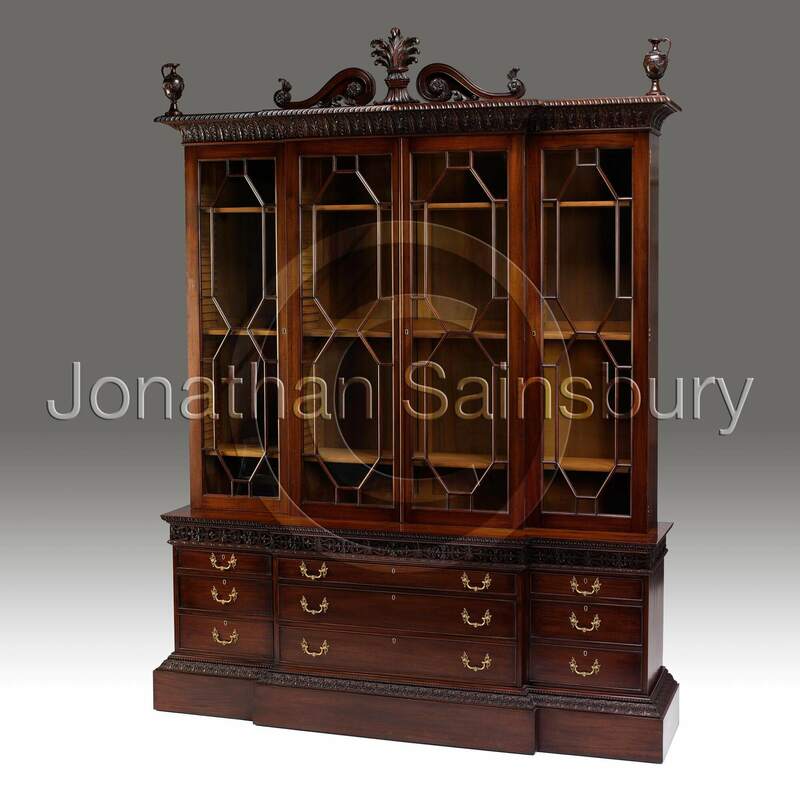 A bookcase originally designed by Robert Adam in 1761 and made by John Linnell, with scrolled pediment centred by acanthus spray, flanked with swagged urns. Gadrooned and acanthus carved cornice. The geometric designed glazed doors sit above a mahogany bed with egg and dart carved under-moulding, above a blind fret frieze. Three centre draws below are flanked by three smaller drawers to each side. The deep plinth is carved with acanthus leaf and beading.